Hey! So you can now purchase Paseli with credit cards outside of Japan. No more jumping through hoops to get Bitcash!!! Most likely because the rights to use the vocalists expired and Konami didn't want to renew it; it's why Dynamite Rave got new vocals in DDR X. 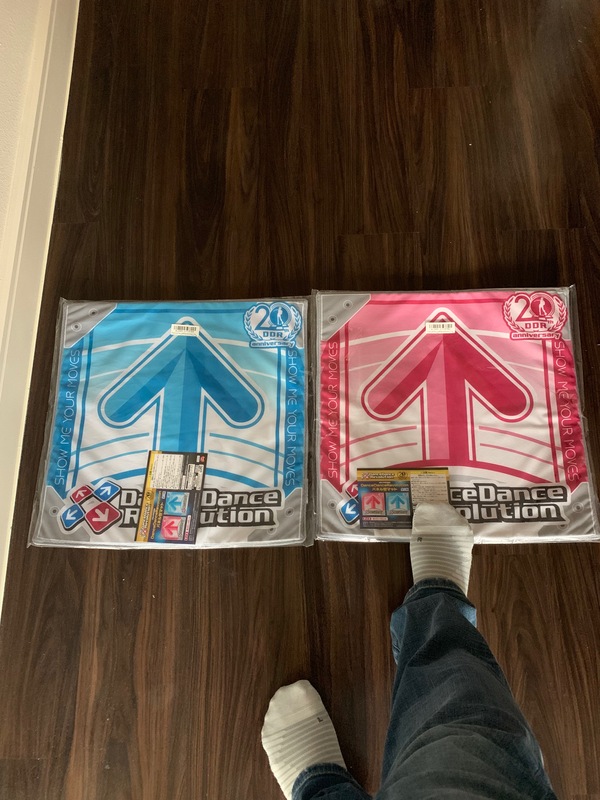 First DanceDanceRevolution game to feature the modifiers BRAKE and WAVE, as well as x0.25 and x0.5 speed modifiers. These only appear on certain ONI courses. I remembered someone playing the game with Wave on back in 2003/4, and I thought it was so cool-looking, but whenever I played the game, I couldn't find Brake/Wave in regular gameplay, so I thought it was a modded version that the person I saw was playing on. You know what else DDR desperately needs so far? A proper POLICY BREAK event. What songs do you think are potential POLICY BREAK songs? My choice is Fascination MAXX and EGOISM 440. What if they announce some form of DDR for the switch today during the direct? I have the same chances of coughing up gold! It'll probably never, ever happen but I'd want to see Anti-Matter in SDVX. I'm also praying for Far Away in a Floor Infection to DDR. I can definitely see ALGORITHM crossing over to SDVX. The beginning of the song, with the SDVX-style effect just begs for it to be on that game. If not that, maybe a toss-up of I/O, Sakura Sunrise, any Extra Exclusive song in DDR A, or Destination. From Sound Voltex to DDR, I can't really think of much, maybe either 無双 (Musou), 逆月 (Sakazuki), or All Clear!!. Seriously. What's preventing DDR from having a proper POLICY BREAK event compared to nearly every other BEMANI game? FLOOR INFECTION is where you play SDVX to unlock crossovers to other games, and POLICY BREAK is where you play those same games to unlock crossovers to SDVX. DDR hasn't had a POLICY BREAK yet, and the only FLOOR INFECTION was for those three Vocaloid songs all the way back in 2014. I... cannot get behind the idea of forcing players to play other games to unlock content at all. It sounds like advertising pushed to the extreme. Regarding the 20th anniversary items, here are the mats that became available last month. I don't think these were available as a regular purchase, but I found these on one of those mobile crane games. For size reference, I'm a US men's shoe size 9. Are there any sites that sell the official DDR merchandise that ship to the US? In regards to POLICY BREAK, I still wonder how DDR has yet to have gotten one from SDVX. You would think there would have been one up to this point considering the size of each game's song library. I do hope A20 changes that. Chart quality doesn't mean a lot to me when you literally don't want to play the songs with said charts. What bothers you more: a song you like with a not as good chart, or a song you don't like with a good/great chart? Music is always running in my mind... Everyday, songs old and new come to mind. The latter, since for the former I can at least listen to it independently of DDR and also change the chart myself if it bothers me enough.